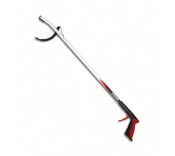 Widely used by councils, contractors and volunteer groups, the Litterpicker speeds up litter clea.. Designed to fit any standard bin bag, this is the most popular Handihoop Bag Opener. Reusable, ..